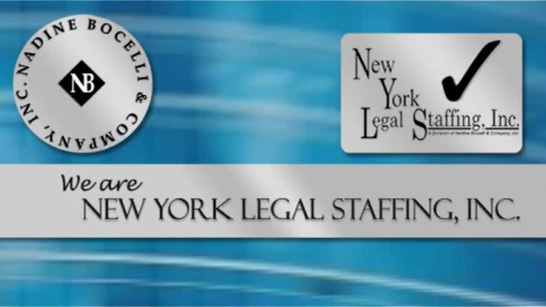 Personal Injury Legal Secretary/Legal Assistant – Nadine Bocelli & Company, Inc. – New York Legal Staffing, Inc. Established midtown Manhattan personal injury law firm is looking to hire a bright, responsible and highly experienced legal secretary/legal assistant with plaintiff-side personal injury experience. Calendaring, e-file motions, BOP's, notebooks, client contact etc. Days/Hours: Monday – Friday, 9:30am – 5:30pm. Competitive benefits package. Salary $Open (commensurate with experience and expertise).